This year, and today in particular, Mark and I took a trip on the Keighley and Worth Valley Railway. 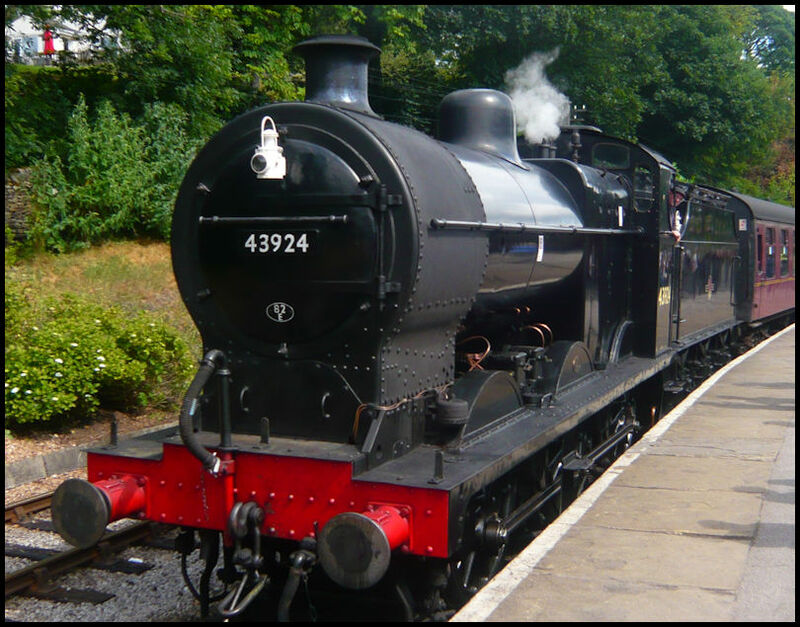 We travelled from Oxenhope to Keighley and back behind an exMR Fowler 3F (43924). Obviously we looked out for the Railway Children, but they were not to be seen - perhaps due to the fact that schools in general don't break up until next week! Thanks Alec, it was a very enjoyable day out, the weather was good, and I enjoyed the meal on the platform. I will be clear from the outset - MSTS will NOT feature. It will be only TS2018 and TSW. Mike West and Robert are local but myself and Duncan and John Chaddock will be travelling from Bristol for the weekend. Any northern based people will be welcomed and are welcome to have a drive or a hands-on tutorial if you have not tried out TS2018 or TSW. This is not an official UKTS event but a continuation of the DIY shows Robert and Mike have been running. Thanks for the info, It looks quite a good event.